There’s no denying polar bears are a huge draw in Churchill—and no one will blame you for making the trek up north to catch a glimpse of them doing polar bear things in the wild. But Canada’s northern frontier has lots more to offer than the illustrious ursus maritimus. In fact, in addition to riding the Tundra Buggy to safely lock your gaze with the polar bears, you can see and do a lot more, if you time your trip right. Take a look at the adventures waiting in store for you when you take a trip north to Churchill. 1. 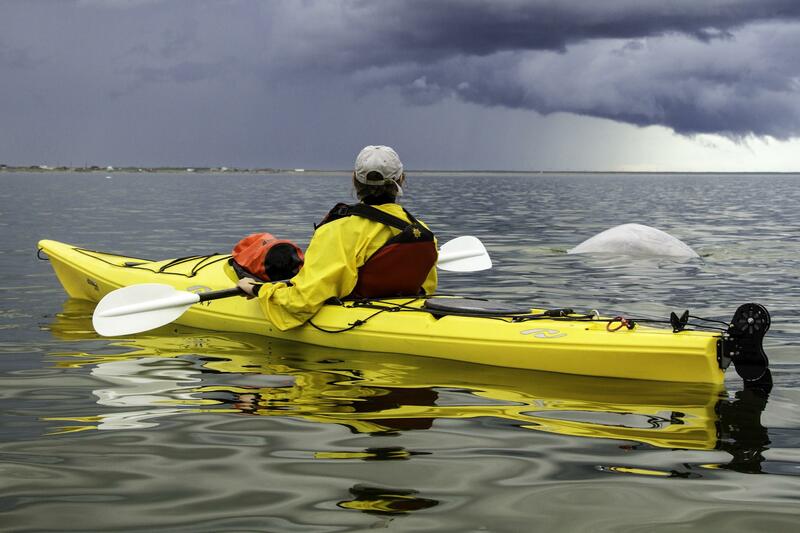 Experience the belugas in the Hudson Bay. Did you know that the world’s largest gathering of beluga whales happens each summer in the Hudson Bay? Nearly 60,000 of them migrate here to birth their calves and feed on the rich supplies of capelin and Lake Cisco fish. Belugas are the smallest of the whale species, averaging just 3 to 4 meters in length and weighing in at 500 kilograms. They’re also the most vocal—their musical chirpings have earned them the nickname “canaries of the sea.” Be sure to make time for a beluga adventure with these friendly white whales when you plan your summer trip to Churchill. 2. Take a dip in the Arctic Ocean—OK, maybe just your toe. You don’t have dive right in to get a taste of the Arctic Ocean—actually, you’ll probably like it a lot better if you don’t. The Arctic Ocean temperatures rarely rise above 0℃ in the summer (brrrrrrr). 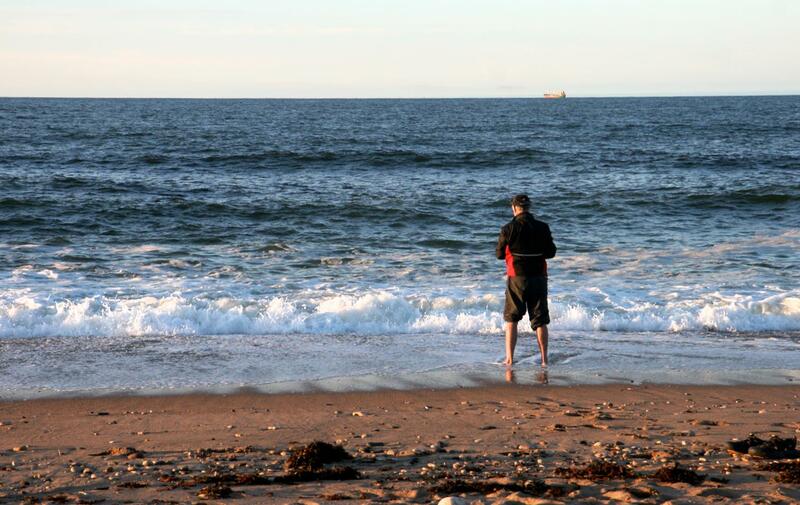 But despite the frigid temperatures, the ocean still supports a surprisingly abundant array of fish and wildlife. Polar bears, seals, walruses, whales, and even narwhals (the unicorns of the sea) make their home in the Arctic Ocean. 3. 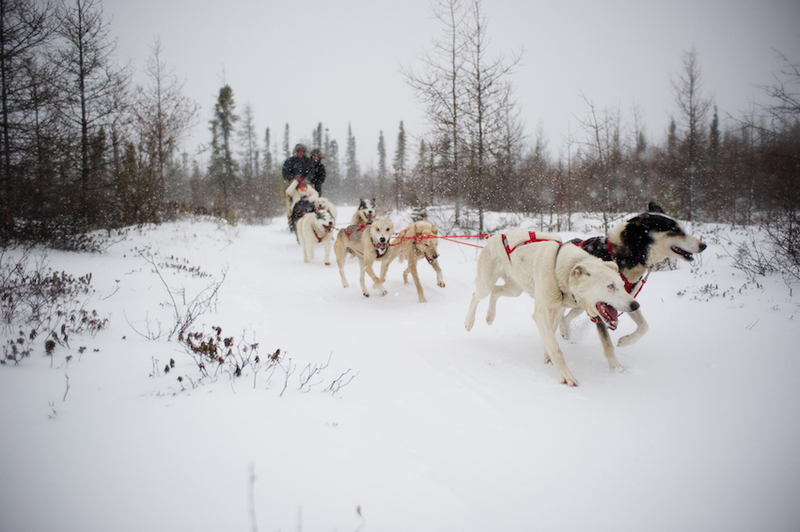 Say “mush!” to your own team of sled dogs as you fly across the tundra. Sled dogs are amazing animals—Iditarod dogs run over 1,000 miles in the space of little more than a week. That makes them the ultramarathoners of the animal world. And all that hard work is fueled by a diet that contains about 12,000 calories a day during race season. (That’s the equivalent of about 22 McDonald’s Big Macs!) You can have your own dog-sledding thrills in Churchill. Even if you visit in the summer, you can climb aboard a wheeled dog-cart and have the ride of your life. 4. 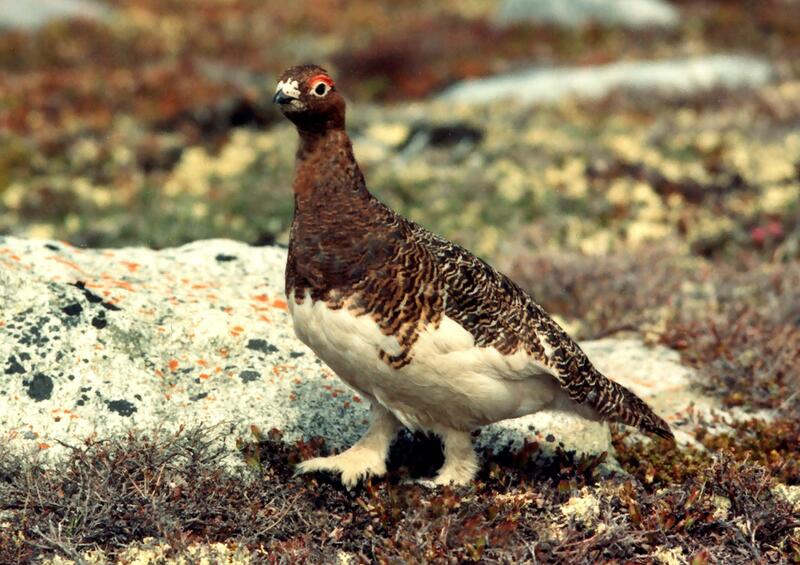 Search for snow geese, arctic terns, snow buntings, and ptarmigan on a tour of the subarctic tundra. Over 250 bird species migrate through the Churchill area each year—it’s not uncommon to see over 100 different types of birds on a week-long visit in the summer. Besides geese, buntings, terns, and ptarmigan, you could also spot peregrines, eiders , snowy owls and the smith’s longspur, which is a regular resident of the tundra in the summer months and can be identified by its distinctive call. 5. Who needs Africa when you can take a Big Five Safari right here in Canada? Manitoba has a pretty amazing array of massive mammals—caribou, moose, black bears, polar bears, and bison to name a few. Check all of them off your list with wildlife drives in Riding Mountain National park and a Tundra Buggy safari in Churchill. This is an adventure of a lifetime for animal lovers of any age. And you’ll love climbing aboard the massive Tundra Buggy—there’s nothing like it anywhere else in the world! 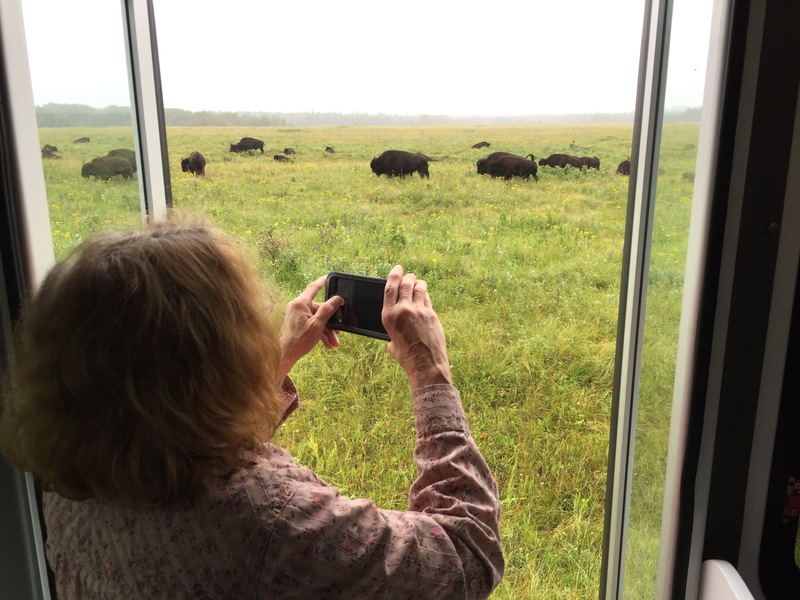 This all-terrain vehicle has huge open-and-close windows so you get a close-up view of the animals and the amazing colors of the tundra in summer. 6. Take breathtaking photographs of the Northern Lights to impress your friends back home. The Northern Lights are actually electrically charged particles that glow when they enter the earth’s atmosphere. They’re called Aurora borealis in the north and Aurora australis in the south. No matter what they’re called, though, they make a spectacular show in Churchill - thanks to being perfectly situated in the Auroral Oval. Conditions are ideal in the winter months. Going with a photography guide is a great way to get the best pictures—they can help you find the best locations and decipher the manual settings on your camera for professional-looking shots. Churchill’s remote location makes for a seemingly barren landscape, but there are numerous foods that are locally sourced. Expect hearty dishes with a Canadian tundra twist. Try an assortment of local dishes, like arctic char, and some pretty extraordinary meats- from moose to goose, elk, bison and buffalo. These game meats have bold flavors, with seasoning to match. If meat is not on the menu for you, The Tundra Inn’s best-selling dish is the Borealis burger, a veggie delight- with a wild rice, berry and bean patty, topped with hummus, avocado, tomato, alfalfa sprout, red onion, feta and lettuce, served with yam fries and sriracha mayo. For a particular highlight in the winter months, when the Northern Lights are at their most spectacular, pay Dan's Diner a visit, where you can enjoy an exclusive meal prepared in our pop-up restaurant along the frozen Churchill River with views of the Aurora Borealis above your head. 8. Where else does the sun rise at 4 am and set at 10:30 pm in summer? Where else can you get 18-½ hours a day of pure subarctic sunshine? 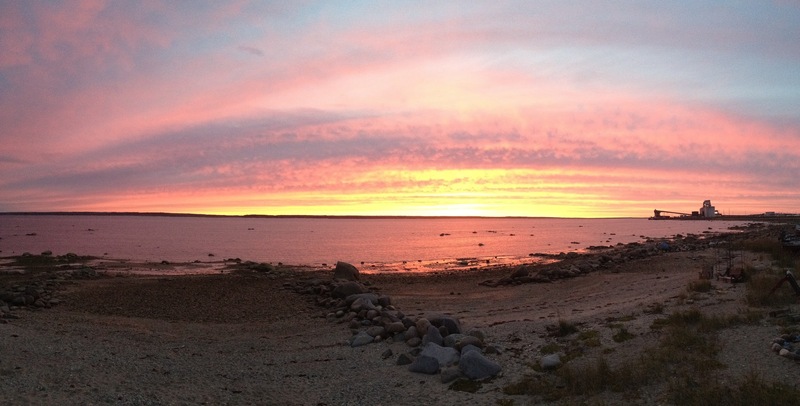 While they’re not exactly endless summer days, it’s pretty close—and that gives you plenty of time to enjoy the outdoor adventures and stunning sunsets Churchill is famous for. Think of the fun you could have with 18 hours of sun—there’s kayaking, Zodiac boat rides with the belugas, touring Prince of Wales Fort, dog-carting excursions, walking in the footsteps of the early explorers while hiking on the coast of the Hudson Bay, and the simple pleasures of strolling through Churchill’s lovely restaurants and shops. See anything that speaks to your sense of adventure in Churchill? Then get in touch today and see how easy it is to have the vacation of a lifetime on the northern frontier. Or if you’re not ready to plan a vacation, sign up for our free email course and find out everything you ever wanted to know about the excitement that awaits in Churchill.